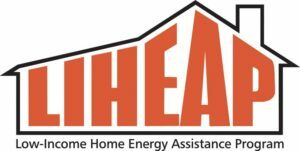 The deadline for the Low-Income Home Energy Assistance Program (LIHEAP) has been extended to April 30, or until funds have been exhausted. Big Sandy Area Community Action Program (BSACAP) will be taking applications for the extended Crisis component of LIHEAP at each of their county offices. The Crisis component of LIHEAP provides assistance to low-income households experiencing heating emergencies. Households that have received their maximum benefit for 2019, may not re-apply. BSACAP Executive Director Wanda Thacker said the agency has been granted more money this year to distribute. “We have already reached nearly 700 more clients this year when compared to last year, so we are delighted to have the opportunity to help even more people pay their electric bills and ensure their home energy needs are met.” Thacker said the April 30th extension will allow people the time needed to gather their documents and visit one of their county offices. the household’s home heating costs are included in the rent and the household has received an eviction notice for non-payment of rent. To be eligible for Crisis assistance, households must verify their address, verify a heating crisis exists and meet federal income eligibility guidelines. Applicants also must apply in their county of residence. Social security card or official documentation with social security numbers for each member of household. LIHEAP, a national energy assistance initiative funded by the U.S. Department of Health and Human Services, is funded in Kentucky by the state Cabinet for Health and Family Services and Community Action Kentucky. Big Sandy Area Community Action Program (BSACAP) will be taking applications for the Crisis component of the Low-Income Home Energy Assistance Program (LIHEAP) beginning Monday, Jan. 7, 2019. Applications will be taken on a first-come, first-served basis until March 31 or until funds are exhausted. The Crisis component of LIHEAP provides assistance to low-income households experiencing heating emergencies. The subsidy portion of the Low-Income Home Energy Assistance Program (LIHEAP), administered by Big Sandy Area Community Action, will end this Friday, December 14th. Low-income individuals and families in need of assistance should visit the Community Action office in their county before 4:30 p.m. on Friday. LIHEAP is a federally-funded program that helps low-income households with their home energy bills. By ensuring proper heating, the risk of health and safety problems such as illness, fire, or eviction is reduced. This important federal program helps provide heating assistance to over 100,000 families in Kentucky each year. It operates in two components: the subsidy component and the crisis component. Proof of Social Security Number or Permanent Residence (Green Card) for EACH member of the household. In order to receive assistance you MUST bring EVERY Social Security Number or Permanent Residence (Green Card) for each member. Proof of ALL household’s (ALL MEMBERS) income from previous month. Most CURRENT heating bill, statement from your landlord if heating expenses are included in rent, statement from utility company if you participate in Pre-Pay Electric Program. The ACCOUNT NUMBER and NAME on the account for ALL heating fuel sources and electric. You do not have to have a “disconnect” notice during the subsidy component of LIHEAP. Applicants should bring their documents to the Community Action office in their county. If an applicant cannot apply in person, contact the office to make other arrangements. All eligible applicants will receive a benefit amount that is based on their income and primary fuel type. Benefit amounts vary based on individual situations. All vouchers are paid directly to the primary fuel vendor with no funds being distributed directly to the applicant household. Applications for the subsidy portion of LIHEAP will not be taken after Friday, December 14. The crisis component of LIHEAP will not begin until Monday, January 7th. The crisis component has the same income eligibility as the subsidy component with the additional requirement that the household must have a “disconnect” notice from their utility company or they must self-certify that they are within four days of running out of their bulk fuel source such as wood, coal, kerosene or fuel oil. Benefit levels are determined by the amount needed to prevent disconnection or the amount needed to ensure a deliverable amount of bulk fuel. The crisis component operates on a first come first serve basis and will be in operation until March 31st or until funds have been expended. LIHEAP is funded through Community Action Kentucky (CAK), the Cabinet for Health and Family Services, and the U.S. Department of Health and Human Services (DHHS). 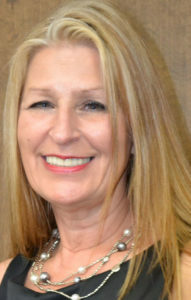 The Big Sandy Area Community Action Program Board of Directors is pleased to announce that Wanda Thacker has been hired as the new executive director of the agency. Thacker will take the helm starting Monday, December 3, following the retirement of longtime executive director Mike Howell. Thacker joined the agency in 2002 and has served as BSACAP’s deputy director since 2005. Upon her appointment as Deputy Director, Thacker created the agency’s communications department, which included the formalization of the agency’s annual report and the institution of the Board of Directors Manuals, the agency newsletter, and our website. She also brought order and enhanced privacy to employee records by formalizing Human Resource processes and creating a distinct department for those processes. During the burst of funding provided through the American Recovery and Reinvestment Act (ARRA), Thacker successfully managed both the Weatherization Assistance Program (approximately $3 million) and the Community Services Block Grant (approximately $1.5 million). Thacker also oversaw increased funding to both the Senior Community Service Employment Program and the Workforce Investment Act Program. The subsidy portion of the Low-Income Home Energy Assistance Program (LIHEAP), administered by Big Sandy Area Community Action Program, will begin this Monday, November 5th. Low-income individuals and families in need of assistance should visit the Community Action office in their county between 8 a.m. and 4:30 p.m., Monday through Friday. Applications will be accepted alphabetically by last name. Households should choose the date that contains the first letter of the head of household’s last name. Applicants should bring their documents on their alphabetically assigned day to the Community Action office in their county. If an applicant cannot apply on their assigned day, contact the office to make other arrangements. Big Sandy Area Community Action Program (BSACAP) is offering pre-registration for the Subsidy portion of the Low-Income Home Energy Assistance Program (LIHEAP). The pre-registration will begin on Monday, October 22, and last until November 2. BSACAP Executive Director James Michael Howell said pre-registration should prove beneficial to customers. Pre-registration is available to applicants who receive a fixed income and are either 60 years of age and above or who have disabilities. To be eligible to pre-register, applicants must bring proof they are receiving disability benefits and/or are at least 60 years of age and on a fixed income. All other applicants may begin applying for Subsidy on Monday, November 5, through Friday, December 14. As in past years, applications will be taken alphabetically, according to the applicant’s last name. 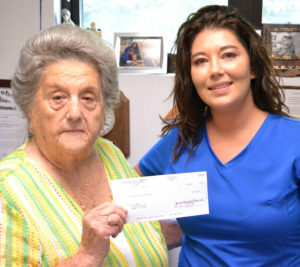 Eula Hall presented the first ever Eula Hall Community Advocate Scholarship to Amy Combs, of Garrett, earlier this month at the Eula Hall Health Center on Mud Creek. Combs is in her final year at Morehead State University where she is studying to become a substance abuse counselor. Each year Big Sandy Area Community Action Program (BSACAP) is afforded the opportunity to present students in their service area with scholarships to help them attend college or vocational school. This year nine people across Pike, Floyd, Johnson, Martin, and Magoffin Counties received a total of over $7,000 in funds to help them pursue their educational goals. This amount includes the newest award offered by the agency; the Eula Hall Community Advocate Scholarship. The Eula Hall Community Advocate Scholarship is a $2,000 prize awarded to an individual who is majoring in Social Work, Human Services, Public Services, or a related field; has a history of volunteer work; is in at least their third year of study; and has a financial need. The winner of the first ever Eula Hall Community Advocate Scholarship is Amy Combs of Garrett. Combs is in her final year at Morehead State University where she is studying to become a substance abuse counselor. As a recovering addict herself, she is passionate about helping other people find their way out of substance abuse and onto a fulfilling life. Combs attends school full-time, works full-time, and is a single mother with two sons. In her free time she coaches boys’ basketball. She has previously volunteered with local senior citizens centers and at a local shelter. Montana Adams, of Prestonsburg, will be studying Secondary Mathematics Education at Alice Lloyd College. Jessica Hill, of Betsy Lane, will be studying Medical Information Technology at Big Sandy Community and Technical College. Shawn Kidd, of Drift, will be studying Nursing at the Galen College of Nursing. Caitlin Little, of Pikeville, will be studying Nursing at Pikeville College. Reaford May Jr., of Elkhorn City, will be studying at Bellevue University. Evan Prince, of Lovely, will be studying Psychology at Morehead State University. Juanita Vickers, of Hardy, will be studying Social Work at Morehead State University. The BSACAP scholarship application period begins in May and ends in June each year. Scholarship funding is made possible by Community Services Block Grant with funds made available by the Cabinet for Health and Family Services and the US Department of Health and Human Services. 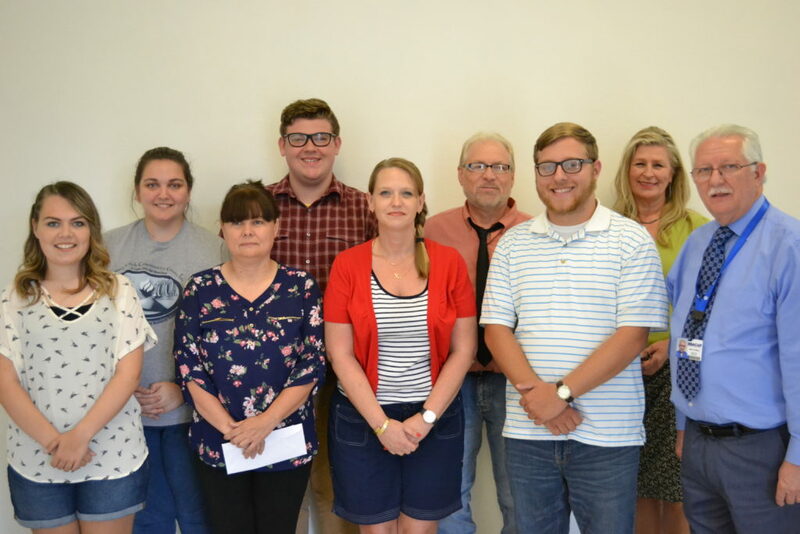 The 2018 CSBG Scholarship winners were presented with their awards earlier this month at Big Sandy Area Community Action Program’s Johnson County Office. Front row: Caitlin Little, Juanita Vickers, Jessica Hill, Shawn Kidd, BSACAP Executive Director Mike Howell. Back row: Montana Adams, Evan Prince, Reaford May Jr., BSACAP Deputy Director Wanda Thacker. Each year Big Sandy Area Community Action Program (BSACAP) distributes $7,000 in scholarships to students in the Floyd, Johnson, Martin, Magoffin, and Pike County area. This year, the nonprofit organization has changed up their offerings and has announced the creation of the Eula Hall Community Advocate Scholarship. The Eula Hall Community Advocate Scholarship will be one $2,000 scholarship offered to students majoring in Social Work, Human Services, Public Services, or related fields. Applicants must be in at least their third year of post-secondary study, must have a record of volunteerism, and must fulfill the requirements of the Community Services Block Grant (CSBG) Scholarship application. Eula Hall has lived her life as an advocate for the workers, children, and families of the region. She served with the Volunteers in Service to America, the Appalachian Volunteers, the East Kentucky Worker’s Rights Organization, and as president of the Kentucky Black Lung Association. She created the Mud Creek Water District, and in 1973, established the Mud Creek Clinic to serve uninsured and underinsured people. The Mud Creek Clinic, now known at the Eula Hall Health Center, offers general clinic care, pharmacy, dental care, optometry, mental health services, patient transportation, public benefits guidance, and a food pantry. She has served on the BSACAP Board of Directors for more than 35 years. BSACAP will also be offering ten $500 CSBG Academic Scholarship to students in the area. If you are a student entering or returning to college or vocational school this fall and are in need of financial assistance, you may be eligible for the Community Services Block Grant (CSBG) Academic Scholarship. Applicants who have earned a 4-year degree or are pursuing education levels of Master’s Degree and above are not eligible. BSACAP staff and family members of staff are not eligible to apply. For further information or to pick up an application, applicants may contact the Big Sandy Area Community Action Program Services Office in their county. Completed applications and required documentation must be received by mail no later than 4:30 p.m. on Friday, June 29, 2018. Scholarships will be awarded no later than July 31, 2018. Scholarship funding is made possible by Community Services Block Grant with funds made available by the Cabinet for Health and Family Services and the U.S. Department of Health and Human Services. Applications for Big Sandy Area Community Action Program’s annual Garden Seed Program will be taken on a first come, first serve basis April 2 – 6 at the BSACAP offices. 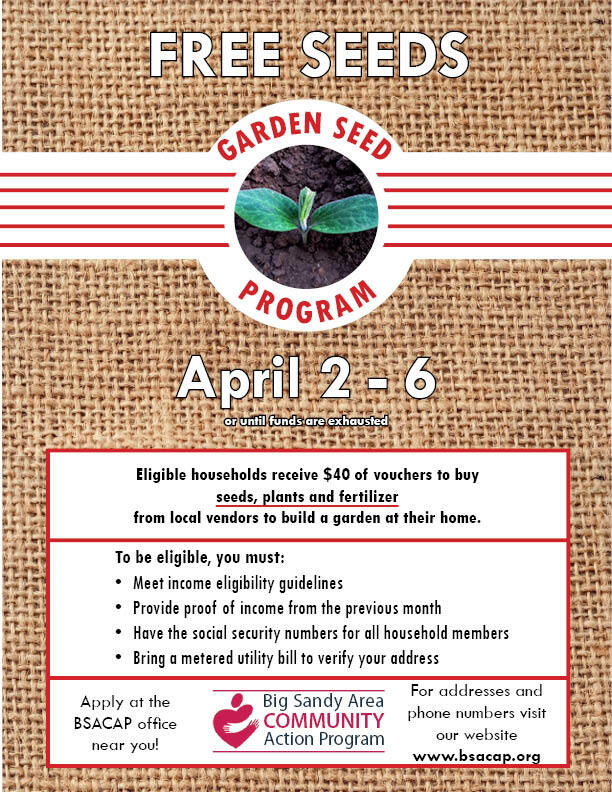 The Garden Seed Program offers qualifying low-income households $40 in vouchers to purchase seeds, plants, and fertilizer at local vendors so that area families can build a garden at their home. Applications will be taken 8 a.m. – 4:30 p.m., April 2-6, at the BSACAP offices. Click here for a list of phone numbers and addresses. Last year, 376 households in the BSACAP service area of Floyd, Johnson, Martin, Magoffin, and Pike counties received garden seed vouchers. Clients grow and maintain their gardens by themselves and are able to reap the fruits of their labor. Late in the summer. BSACAP will also host a workshop to help clients and the public to learn how to can, freeze, and preserve their produce. Big Sandy Area Community Action Program (BSACAP) will be taking applications for the Crisis component of the Low-Income Home Energy Assistance Program (LIHEAP) beginning Monday, Jan. 8, 2018. Applications will be taken on a first-come, first-served basis until March 31 or until funds are exhausted.